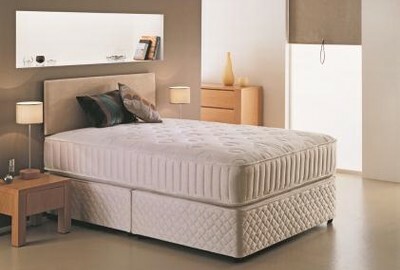 The Respa Backcare Supreme 3' Divan Bed is part of the Respa Physiotech Collection. The inclusion of Respa's Respatech Inner Spring System with Soft touch Belgian Fabric makes for an excellent Orthopaedic solution. The Respa Backcare Supreme 3' Divan Bed is the latest addition to Respa's Physiotech Bed and Mattresses Range. Benefiting from added luxury and comfort while retaining the Chiropractic Attributes of Posture and Support, this model is built upon Respa's renowned RespaTech Inner Spring Design System, and finished with a Soft Knit Belgian Outer Fabric. The Respa Backcare Supreme Single Bed has the added reassurance of Respa's 5 Year Guarantee and comes with Free Delivery* and Free Collection and Recycling of Your Old Bed throughout Northern Ireland, and Counties Monaghan, Louth and Dublin, in the Republic of Ireland.